Coun Wayne Daley, cabinet member for children's services. Councillors are keeping an eye on the rising numbers of Northumberland children being educated at home, which is causing concern. In England, education is compulsory but school is not. The responsibility for a child’s education rests with their parents. 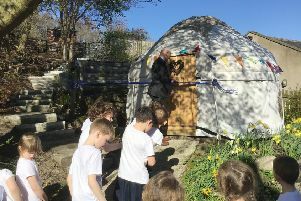 Elective home education (EHE) is one of the options and is increasing dramatically not just in Northumberland, but across the country. The latest report on this issue went before the local authority’s cabinet last week, where the numbers of pupils involved took councillors by surprise. When the issue was discussed by the council’s family and children’s services scrutiny committee in February, members heard that the number of pupils being educated at home in the county had peaked in July 2017 at 203. There are now 233 children being electively home educated and the number could be higher than this, as the local authority only knows of those pupils who were on a school roll and then removed. There may be others who have moved into Northumberland from other areas or who have never been educated at a school. A report to councillors acknowledged that ‘in some cases, home education can often be good, however, the current arrangements do not provide assurance that this is the case for all children’. Between September 2017 and April 2018, there were 125 new cases in Northumberland, all of whom were offered a visit from the council’s EHE education welfare officer. But just 41 were accepted and took place, and only five families submitted a report to the local authority on the education and achievement of their children. The situation may change moving forward, however, as a bill currently going through Parliament would make provision for local authorities to monitor the educational, physical and emotional development of children receiving EHE. Councillors heard that another aspect being looked at closely by Ofsted and the Department for Education is what’s known as off-rolling, in which schools get rid of challenging pupils – with parents potentially being coerced to educate their children at home.